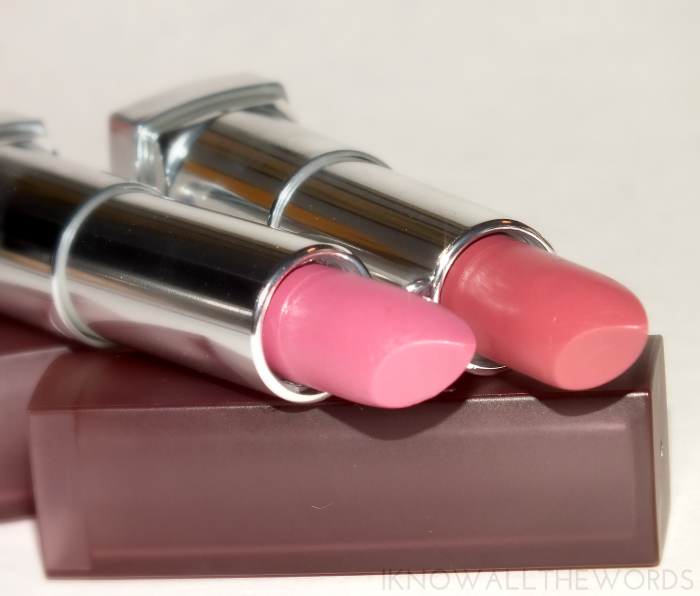 It looks like this week has had a pattern- skincare, lipstick, skincare, and here we are back at lipstick. It's a fitting way to end the week though as the new Maybelline Colour Sensational Creamy Matte lipsticks are pretty fabulous. 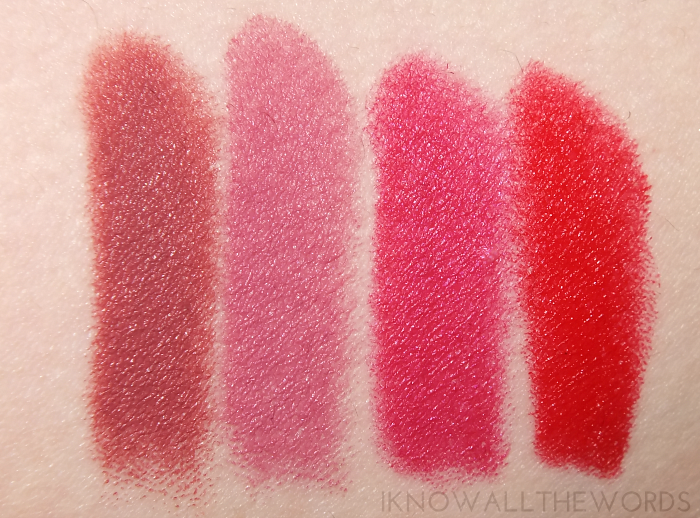 Read on for a look at Touch of Spice, Lust for Blush, Mesmerizing Magenta and Siren Scarlet. 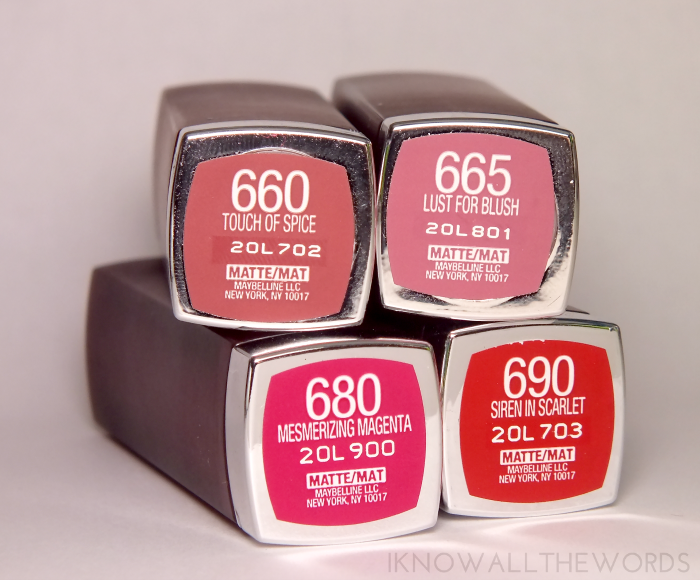 So, drugstore lipstick + matte isn't something that always goes together well, but Maybelline has done things so right with the Creamy Matte range. 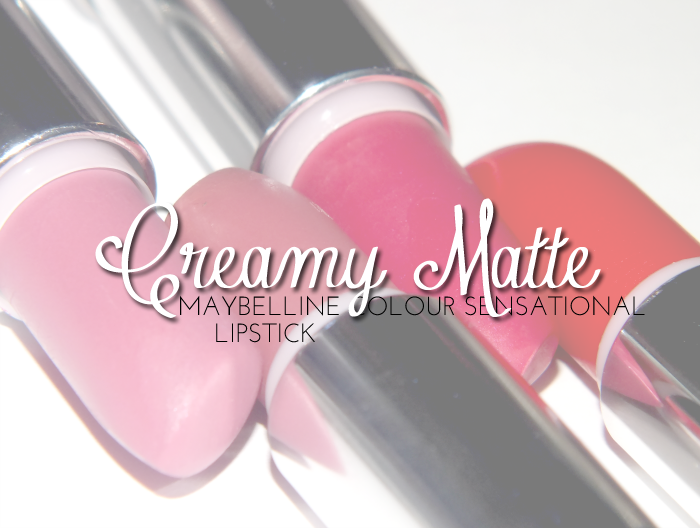 As the name implies, you get a creamy-smooth lipstick with perfect pigmentation and a matte finish. 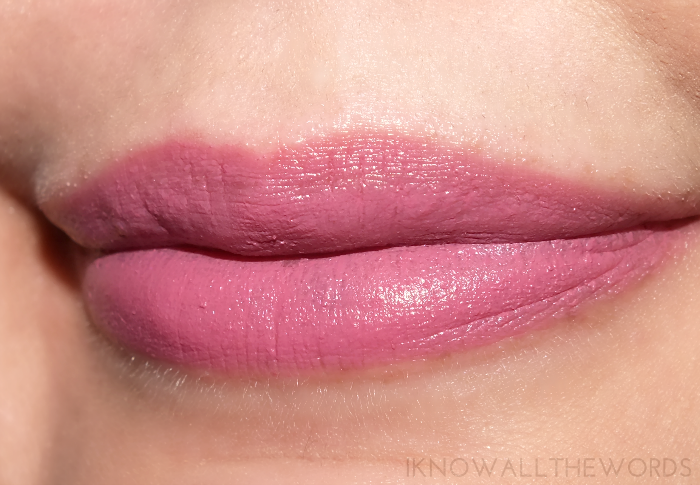 The finish is matte, but not flat or drying in the least (no balm required! ), and is so easy to wear- just swipe on and go. 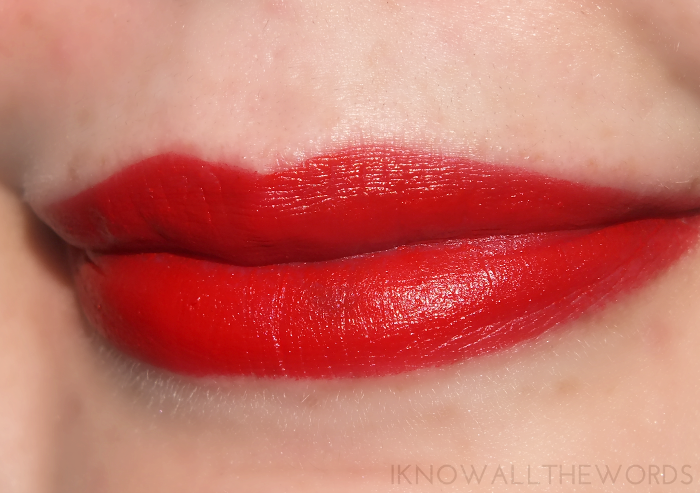 The matte formula helps these wear easily for hours- about 3-4 with no eating or drinking- and means you can rock a bold shade without worrying it's going to migrate places it ought not be. 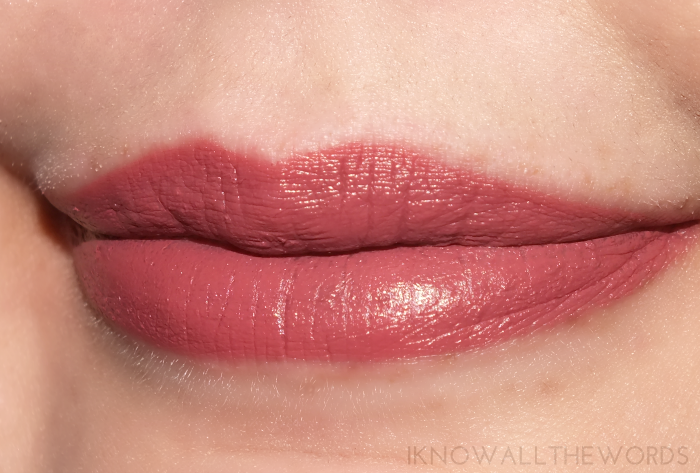 Touch of Spice is a 'my lips but better' rosey-brown shade. It's got that 90's brown thing going, but the rose undertone makes is very pretty and a shade that will suit almost every skin tone. Lust for Blush is a natural, slightly dusty, blush pink with a hint of a lavender undertone, that is a perfect everyday shade. Mesmerizing Magenta is a cool, cherry popsicle pink with a hint of an almost duo-chrome blue flare. It's not really shimmer, but it does reflect a bit when the light hits it the right way. 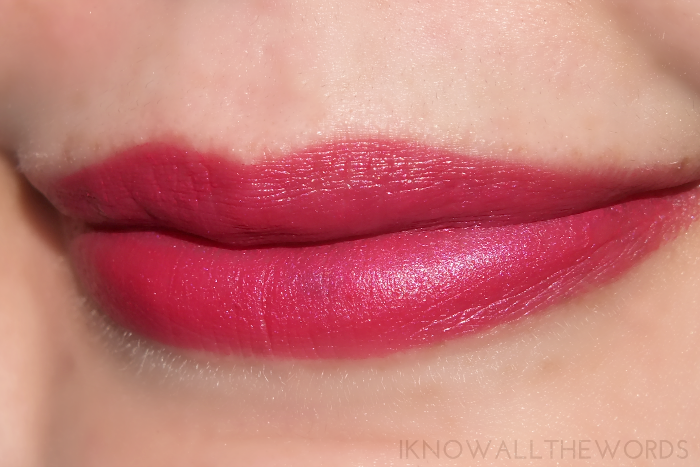 A really pretty, vivid shade that's not too much- bold, yet subdued. Siren in Scarlet is a classic red shade that leans more yellow than blue- or more tomato than cherry. Overall, get to a drugstore! You really can't go wrong with the formula and the shades are pretty perfect. The range also happens to be a permanent addition to the Maybelline family, so they're no mad rush to find the shades you want most. 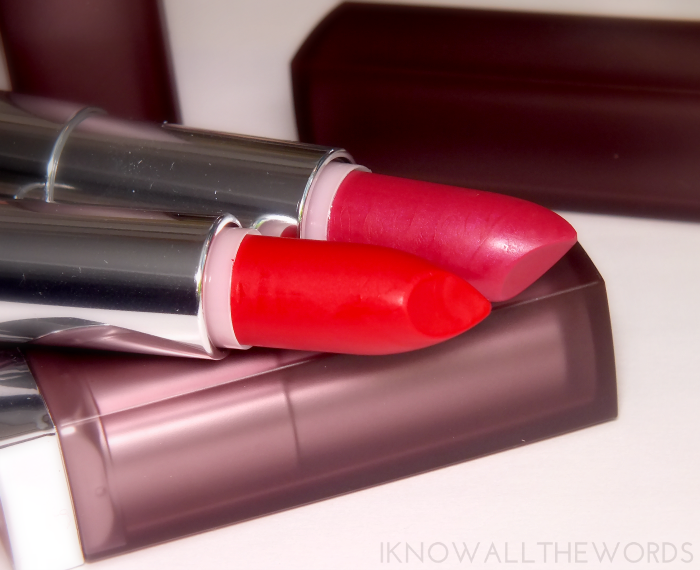 Are you a matte lipstick lover? Tried these?